Sunday Collection: Your gift enables St. Dominic's to fulfill its vision to be a center of evangelization and lifelong faith formation and a hub of service to the Eagle Rock community. Gifts for general operations support our many parish ministries, including liturgies, adult and youth formation programs, and outreach activities, and help the parish enhance and expand these important ministries. School Tuition Assistance: A gift here allows the parish to subsidize some families who cannot afford to pay the full tuition to our excellent elementary school. We want to provide to as many children as possible a quality education in an environment that promotes a living faith in Jesus Christ. Community Center Fund: We are repairing the second floor of our community center and beginning a capital campaign to renovate and update the rest of the building, including adding an elevator to allow access to both floors for all our parishioners. The community center will be a location for lectures, formation programs, day retreats, multi-media presentations, concerts, meetings and parish community-building events. Building Maintenance Fund: Your gift will help us be good stewards of the many buildings that past generations have left to us, make sure they can serve the Catholic community of Eagle Rock for generations to come. Health Ministry: This ministry provides health promotion and disease prevention activities to our parishioners, school children and their families, as well as the community in order to facilitate health, promote wellness, and achieve healing. The ministry is comprised of volunteer nurses, specially-trained parish nurses, therapists, physicians, and non-healthcare members who are passionate about health and wellness. St. Vincent de Paul: St. Dominic's has served thousands of people in need, lightening the burdens each carries, especially in times of spiritual and material hardship. The parish provides assistance with rent, utilities, food, and clothing, and offers a bag lunch on weekdays and a nutritious hot meal on Friday evenings to the poor and elderly in our area. Below are a few ways you might explore charitable contributions to St. Dominic's. As a non-profit, your donations to St. Dominic's are tax-deductible. Sunday and Holy Day Envelopes: you can give using envelopes offered to all registered parishioners and receive a year-end report for your tax purposes. 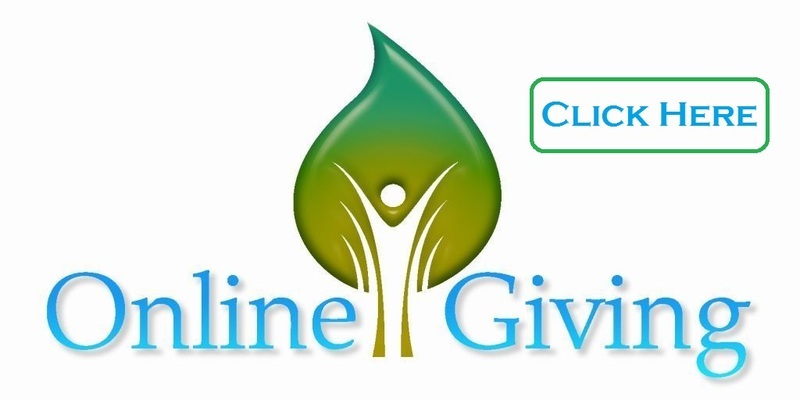 Automatic Giving: You can automate your giving either through online giving or through automatic Electronic Funds Transfer (EFT). Through Amazon.com: When you click on the ad below, the parish will get a small percentage of your purchase at Amazon. Gifts of Securities: You might make a DTC Transfer of Stock or a Mutual Funds Transfer. Gifts of securities often confer significant tax benefits on a donor. For example, contributions of appreciated securities held for over a year are generally deductible at market value, regardless of what the donor paid for them; moreover, the capital gains tax is avoided through such a gift. Tributes and Memorials: Tribute and memorial donations provide a unique opportunity to remember family and friends. When you make your gift, we will send a notification of your thoughtfulness to whomever you designate. Planned Giving: Making a planned gift ensures that St. Dominic’s can sustain its ministries and programs for generations to come. By remembering St. Dominic’s in your will, living trust, life insurance policy, or retirement plan, you help ensure a bright future for St. Dominic’s.